Agent Carter is set in the Marvel Universe based on the character Peggy Carter, a secret agent in 1940s America. Have you seen this series, or would you like to? How does it compare with other Marvel universe shows such as Agents of S.H.I.E.L.D and Daredevil? 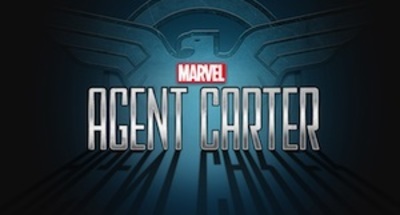 Title card from the ABC series Agent Carter, via Wikipedia. Fair use. My wife and I watched the first episode but that was it. Neither of us are into watching shows set in that era, nor are we big spy fans. It just didn't do it, which is too bad because I liked Peggy in the Captain America movie. Not yet, but I've heard some good things about it. I quite like stuff set in the '40s. I'm not interested in Marvel. So many shows I have not seen. Not my type of TV.